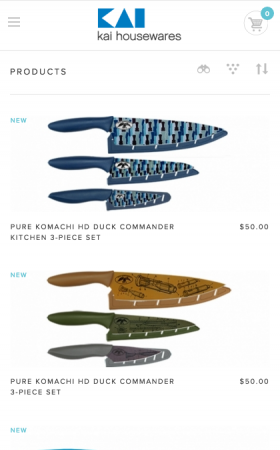 Kai Housewares produces quality kitchen knives and housewares products. 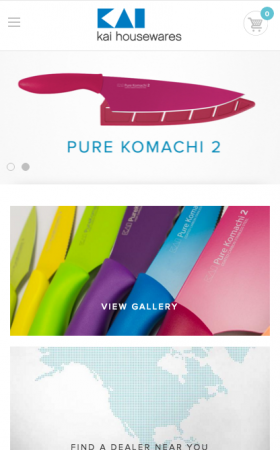 Known for their colorful Pure Komachi 2 line, Kai Housewares originated as a line within Shun Cutlery brand. Wanting to create more brand continuity for Shun and launch a new brand of affordable kitchenware, Kai Housewares was born. Leveraging the design work done for the other Kai Brands, we built a website that creates consistency between the brands while also showcasing Kai Housewares and its distinct collection. The website features a robust product gallery that allows the user to search for their perfect knife, either through technical specs or usage filters. 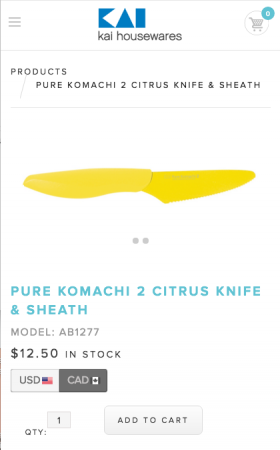 And for all those Shun Cutlery fans out there, they can still purchase Housewares knives in a shared shopping cart with Shun Cutlery. Like what we did for KAI Housewares?